With many moving processes such as packing belonging, trucking them to a new location, unpacking and organizing the new house, stress is inevitable. This makes the entire move both tiresome and time consuming. And after the packing process, you might feel too tired to unpack. Nevertheless, unpacking has to be done. Most people try and unpack all their stuff in single day, or all at the same time, with no particular order. This might seem the simplest and easiest way out. But after finishing the unpacking process, they come to a realization that all they have is a disorganized and messy home. Here are some tips on how to expertly unpack after moving to a new house. It is quite normal to want to acquire new stuff after your move. While they might be necessary, it is recommended not doing it before you are done with unpacking and organizing. But if you decide to do so, you will end up using lots of money and an assortment of more scattered belongings. One of the biggest mistakes you can make after your move is unpacking stuff without organizing them. A rule of thumb is to unpack and organize. While at it, make certain that each of your items is placed in their right spot immediately after unpacking. Repeat the whole process before going to the next item. 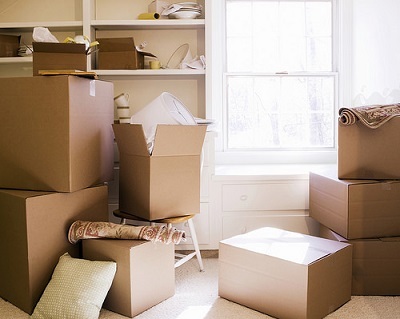 After unpacking most of your important belongings, go on and unpack the rest of the boxes. It is recommended that you do it one room at a time. For example, if you decide to start with the living area, unpack and organize everything to that end. Upon making sure that everything in the sitting area is perfectly in order, go on to the next room. Simply put, don’t unpack one room halfway and then hop into the next and unpack it halfway. When packing your stuff, it is important to pack things depending on the rooms they will go to. This way, all boxes get numbered according to the room they end up in. In this case, you will end up having boxes for the sitting room, bedroom, kitchen, bathroom, and so forth. Take each of these boxes to its specific room as labeled. This way, it will be simpler and easier to unpack as opposed to unpacking all the boxes in the same room and then carrying each of the items to the room it belongs to. It is recommended to unpack the most important things first. With the help of your check list, identify those boxes that contain the necessary stuff and unpack it. Your important things include stuff you can’t do without, for instance your important clothing, toiletries, beddings, bathroom stuff and kitchen stuff. During the packing process, it is advisable to create a checklist showing the number of boxes and contents contained in each of them. This checklist comes into play during the unpacking process. The checklist is one of the most important things during the unpacking process in that will help you to easily unpack your belongings according to room they belong. Unless you have people helping you, do not try and unpack all your stuff in a single day. It will be quite tiresome and unsettling. Unpack only the stuff you need on the first day, and then unpack the rest every other day when you have time until the last box is unpacked. This way, you are able to place each and everything in its designed spot.